Private and institutional developers are continuing to circle the Melbourne market, with two suburban sites changing hands in recent weeks for a combined total of close to $45 million. Cbus Property made its move just prior to Christmas, paying in excess of $23,000,000 for a prime inner-city landholding in Collingwood bound by Wellington, Langridge, Cambridge and Derby Streets. 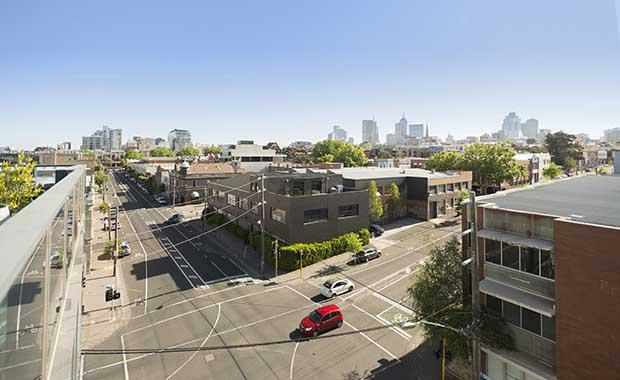 This was followed early in the New Year by the sale to a local private developer of a prominent Prahran site for a price in excess of $20,000,000. CBRE’s Jamus Campbell and Mark Wizel negotiated both deals, in transactions that signal the continued developer confidence in the Melbourne residential market, according to CBRE Director Mark Wizel. “Melbourne has experienced several record years in relation to development site sales and we are seeing no sign of buyer appetite waning in 2015,” Mr Wizel said. Cbus Property’s Collingwood acquisition represents one of the most recent, prominent site transactions on the city fringe. The 2,010 square metre site features four street frontages in a rare offering of a full city block. The interest from Cbus Property centred on the site’s potential for a premium residential development to capitalise on the prime inner -city location and four street frontages. CBRE’s Mr Campbell added that city fringe and well located land holdings in excess of 500 square metres were in hot demand, with ten parties actively competing for the Collingwood site. “The current undersupply of apartments in areas such as Fitzroy, Collingwood, Carlton and North Melbourne is fuelling demand from developers who are targeting both the investor and owner occupier market,” Mr Campbell said. This was further highlighted by CBRE’s early 2015 sale of a 2,662 square metre site at 70-88 Greville Street, Prahran. Mr Campbell said the purchaser of the Prahran site was understood to be planning a mixed-use residential and retail project. “We have seen local developers compete fiercely for sites outside of the CBD for the past few years,” Mr Campbell said, noting there could be a shift in the market this year, with stronger interest expected from Asian developers seeking suburban opportunities. Mr Wizel said the drive behind this will be both the fall in the Australian dollar and a greater understanding of the broader Melbourne market. “We are confident that our focus over the past four years to educate active Asian buyers about the merits of non CBD development will begin to bear fruit this year,” Mr Wizel said. Mr Wizel forecast that 2015 would be a watershed year for suburban site values in Melbourne, aided in part by ongoing concerns about the supply of apartments in the Melbourne CBD. “Rewind several years and few people would have expected that land in Collingwood and Prahran would be achieving in excess of $10,000 per square metre,” Mr Wizel said.